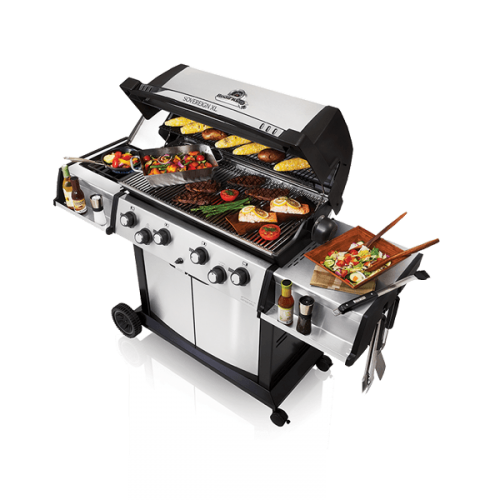 The Broil King Sovereign XL90 Gas BBQ Pro offers pure cooking quality to a variety of events and gathering. Packed full of features, all manufactured to the highest quality. Featuring four stainless steel Dual-Tube primary burners as well as a stainless steel rear rotisserie burner and side burner, the Sovereign XL90 really is top of its class. 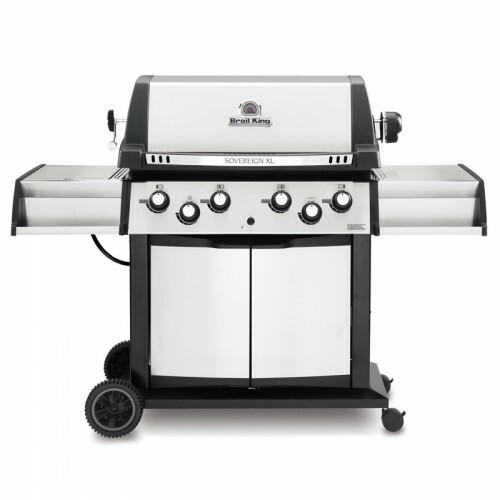 The stainless steel and cast aluminium construction means the the Broil King Sovereign XL90 will truly reign supreme. The stainless steel Flave-R-Wave cooking system gives amazing cooking results and the built in temperature gauge will help to create oven like temperatures for a variety of cooking options. 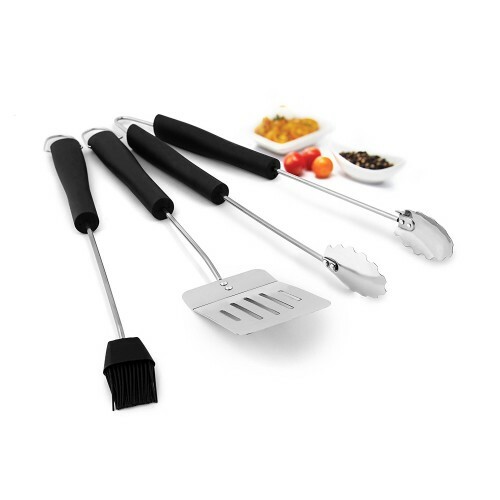 A Rotisserie kit is included in the pack as well as stainless steel cooking grids round this off to be one of the best BBQs on the market today. The large enclosed cabinet gives room for gas cylinder storage and the stainless steel side shelves feature condiment bins and tool hooks. Each burner is made to give complete control due to the simple to use control taps and electronic ignition, all mounted on a stainless steel fascia panel. 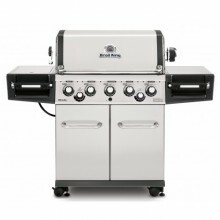 The Broil King Sovereign XL90 is a fine purchase for the discerning grill chef.. The Sovereign XL90 is a must for those not wanting to compromise on quality. 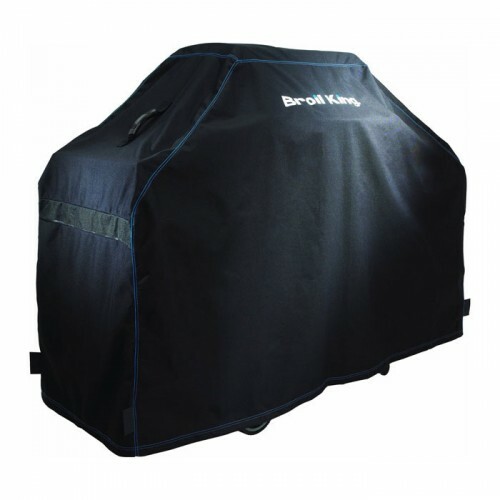 You can add a weather proof cover to your order by clicking the check box at the top of the screen.